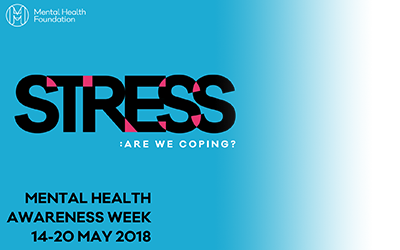 Hosted by the Mental Health Foundation, this year’s focus for Mental Health Awareness Week (14th – 20th May) is stress. Research has shown that two thirds of us experience a mental health problem in our lifetimes, and stress is a key factor in this. Here at Careers, we want to make sure that students are prepared in all ways, including mentally and emotionally, when you graduate and enter the workplace. This week we’ll be posting tips, resources, links to websites, facts, figures, and blog posts from fellow students and alumni about stress, mental health, and work. By tackling stress, we can go a long way to tackle mental health problems such as anxiety and depression, and, in some instances, self-harm and suicide. How does stress affect us at work? Work is the biggest cause of stress in people’s lives, more so than debt or financial problems. The link between stress and work has been established for a long time, but recent studies suggest that stress and related health problems are on the increase, particularly amongst younger people. The Mental Health Foundation carried out a survey of more than 4,500 people regarding stress at the workplace, and found that millennials – those aged between 18 and 38 – felt more under pressure at work than the previous generation, with more than a quarter (28%) stating that working through stress was expected in their job. This is compared with just 12 per cent of those aged between 53 and 71. Similarly, about a third of millennials (34%) said that they felt stress made them less productive at work versus around a fifth (19%) of their older counterparts. Overall, the data also revealed that across both generations just 14% of people said they were comfortable speaking to their manager about their stress levels. Stress is a natural reaction to many situations in life, and we all experience stress differently. A moderate amount of stress can help us perform better in challenging situations, but too much or prolonged stress can lead to physical problems and more severe mental illness. The Mental Health Foundation have produced a stress-level test, using the evidence-based perceived stress scale. Test your stress here. talk to your manager about how you are feeling – you may be able to reduce your workload, set realistic targets, etc. meet up with friends you do work with, but don’t talk about work! when you get home, try to relax! If you would like to submit a blog post, tip, quote, or anything else related to Mental Health Awareness Week, please get in touch with Jenni via e-mail or through the Careers Facebook Page. The Mental Health Foundation have produced resources to help you find out more about identifying, managing and reducing stress. Mental health charity Mind have also produced a page focusing on how to look after your mental health at work. For confidential support with mental health or suicidal feelings, call Samaritans on 116 123. If you are experiencing problems that are affecting your studies or general wellbeing, get in touch with the University’s Counselling and Mental Health and Wellbeing services. Good mental health in the workplace is so important. It is key to recognise the factors within our day-to-day lives that trigger stress and we should look to ways in which we can tackle and provide solutions to these factors.